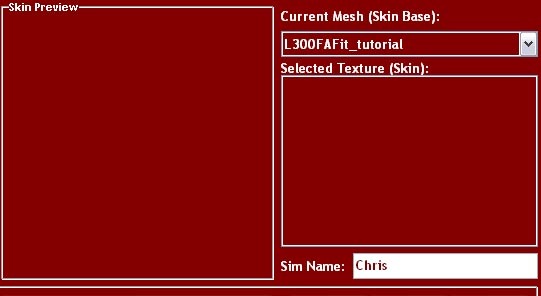 Once selected you may not have any textures available. This will vary and you may actually already have skins that can be used. In this case there are none though and we want one that was used for the normal body anyway.